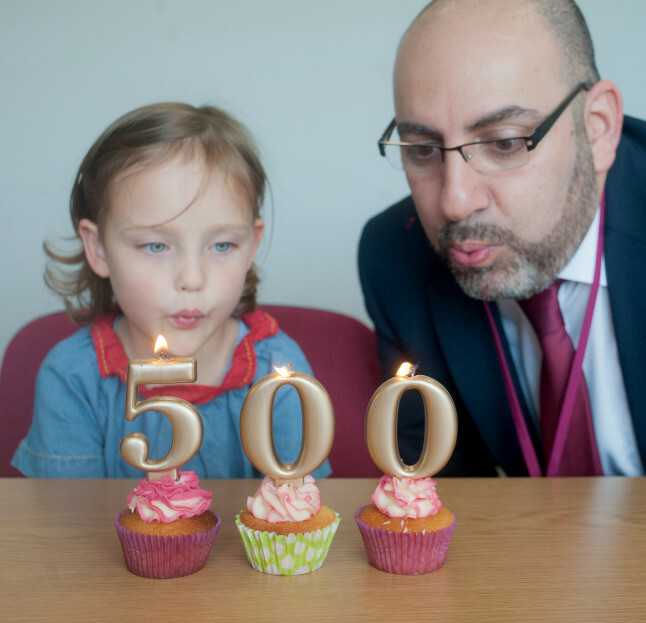 500 IVF babies have been born since Bourn Hall Clinic opened the doors of its first Norfolk fertility clinic in February 2013 – that's one baby every three days. The first baby and one of the most recent babies came back to the clinic to help celebrate this milestone. 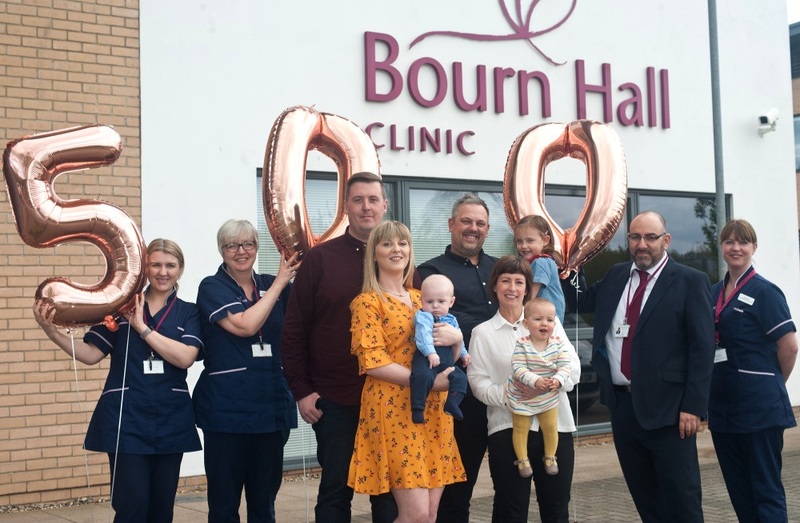 Bourn Hall Wymondham’s Lead Clinician Dr Thanos Papathanasiou is immensely proud of his dedicated team, who have worked so hard to achieve this Norfolk IVF success story. “Fertility treatment is as much about hearts and minds as it is about selecting the right therapy. Our success rates are among the highest in the country and this is achieved by tailoring the treatment to the individual. There are no guarantees, so our aim is to give everyone the best chance of success and for them to feel confident in their choices. Baby Sully Shepherdson from Ormesby St Margaret is a recent arrival. His parents met as teenagers and his mum Philipa was only 23 when the couple realised that they had an infertility issue. Philipa and Adam were referred to Bourn Hall and were fortunate to receive three cycles of NHS funded treatment. She says: “We felt really positive about going to Bourn Hall in Wymondham. We were excited and worried at the same time. I really felt that if we were going to become parents it was going to happen here.” Sadly, Philipa miscarried following her first successful cycle and then failed to get pregnant on the second. Yvie Chase was the very first Wymondham baby, born four years ago, and she is now big sister to Olive, who was born in May 2017. It had taken five years of trying for a baby before Sian Chase was diagnosed with endometriosis, a condition where tissue grows outside the womb. When Sian and her husband Ryan were referred to Bourn Hall for IVF treatment it was a huge relief. “We felt that we had ‘made it’,” she laughs. “We had the utmost confidence in the staff; they are professional and caring and we felt that we were in expert hands. “Once we started speaking about having IVF treatment, others opened up about their own experiences. It is surprising how many people have had help with their fertility, including IVF. It is more common than you think.” After their success with Yvie the couple returned to have further treatment, which resulted in Olive. Bourn Hall has clinics across the east of England including Cambridgeshire, Essex and two in Norfolk in King’s Lynn and Wymondham. Bourn Hall works closely with GPs across Norfolk and provides an NHS fertility testing service to NHS and self-funded patients as well as providing full IVF treatments. This has created a joined-up service for Norfolk patients and provides access to specialist fertility advice at an early stage. Only a small number of people require IVF and other assisted conception treatments are an option. For those without an underlying medical issue, there are a number of practical steps that can boost their natural fertility. Becoming a healthy weight, good nutrition and taking gentle exercise have been shown to improve sperm counts and improve ovulation (release of eggs). Find out more about the Wymondham clinic here. For a short time we are offering a free consultation at Bourn Hall Norwich with a fertility nurse specialist. Excellent Norfolk IVF success rates. more here.